whether you're a home flipper, looking to do a bit of remodeling before selling, or just wanting a home facelift, the possibility for design is endless. at the very beginning of every consult I do, I always tell my clients never to design solely around resale value; if you like something that's "out of style," who cares? everything goes out of style! if you know what you like, this guide isn't for you; this guide is for those lost in the realm of design possibility, unsure what's in or out, what will or won't sell, and what they do or don't like. as the title suggests, it is nothing more than a guide. now that we've got that covered, let's explore the world of kitchen and bath design! 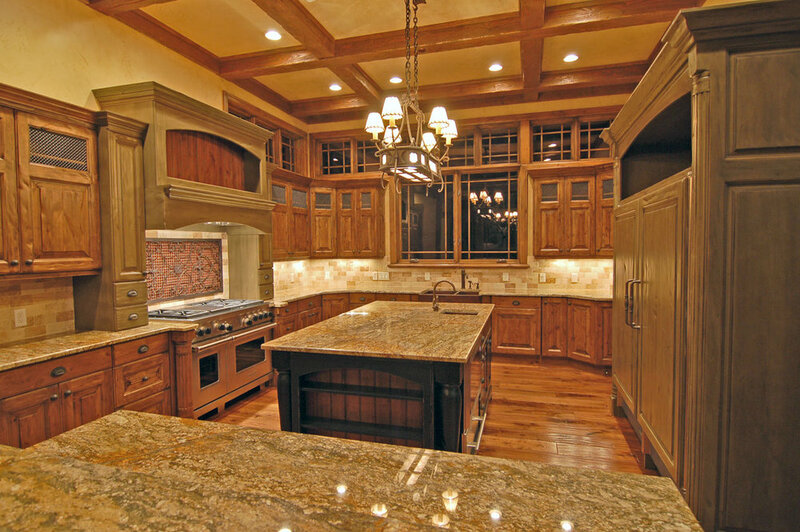 first up: travertine, limestone, and the tuscan-style kitchen. these are the kitchens that dominated the housing market from the early 2000's. taupes, dark oil-rubbed fixtures, rich cherry woodwork, corbels and elaborate millwork wherever they could fit. bonus points for ivy. 2x multiplier on the ivy bonus points on this one and 3x multiplier for the roosters (plural). instead of these elaborate rustic, tuscan kitchens, opt for airy, cool tones from the grey family, and white whites. shaker-style cabinetry with simplistic, streamlined profiles will create a clean, more modern look as well. 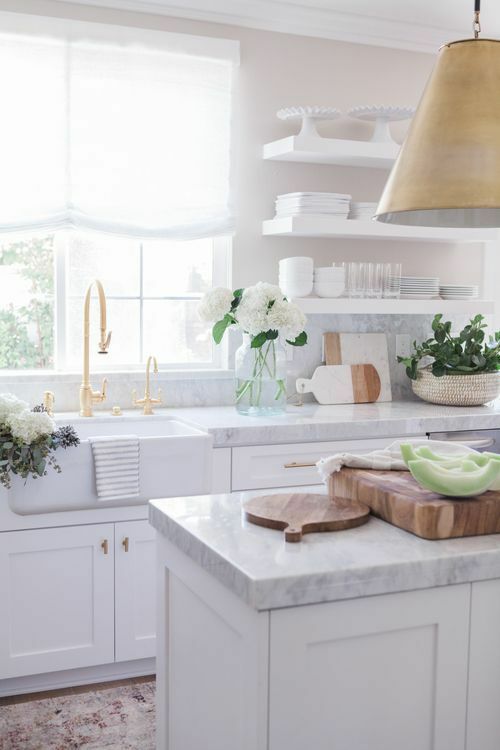 utilize lighter color surfaces such as carrara marble to draw out grey tones, quartz materials for durability, and glass tiles or hand-glazed ceramics to add a dimensional touch. 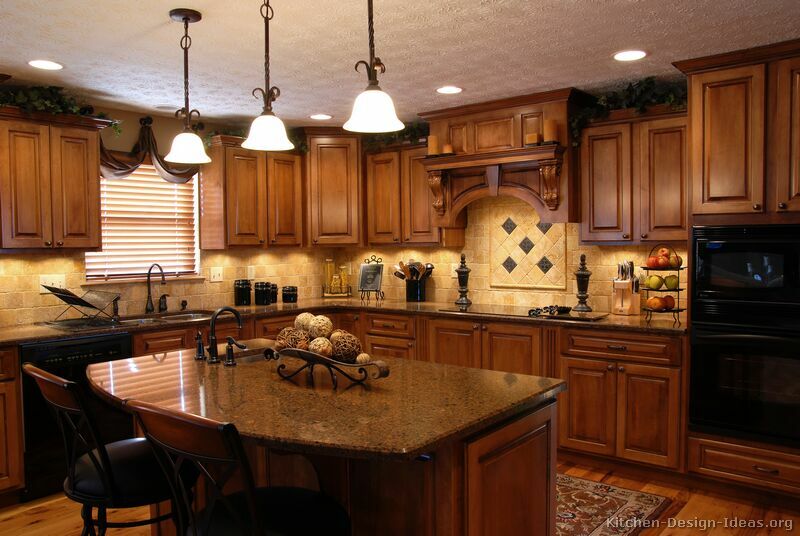 waterfall countertops create a beautiful kitchen statement and contrast beautifully with bold cabinets. did I mention the statement-making initiative of gold everything? don't be afraid to go(ld) for it! a modern tuscan kitchen; keep cabinets and countertops light, and stay (far) away from the use of scrolls and excessive decorative millwork. next up on the "not that!" 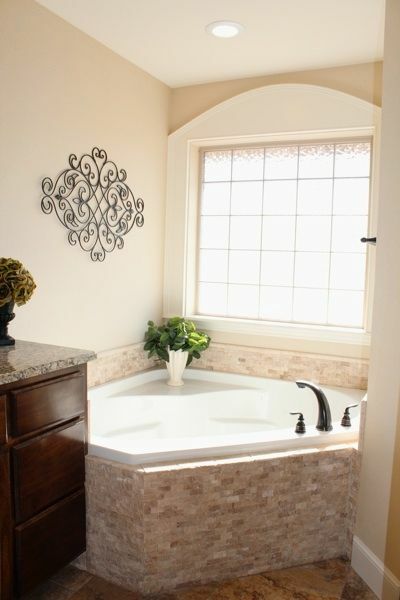 design list is (drumroll): corner whirlpool tubs! a feature regarded as "luxury" for decades have been corner whirlpool tubs. however, a luxury these are no longer! these tubs are obtrusive, take up massive amounts of space, and the whirlpool technology is outdated. ever turned on a whirlpool only to have a seaweed/mold stew brew up in your fresh bath? corner whirlpools are not only an eyesore, but they are also generally unused - examine the last time you used your whirlpool and ask yourself if it's worth it. design this instead: instead of using a corner tub, go with a simple, straight-line undermount tub, or opt for a freestanding tub positioned at an angle. this makes a great focal point but remains functional and modern. a floor-mount tub filler can also elevate the design of your bath beyond your wildest dreams! 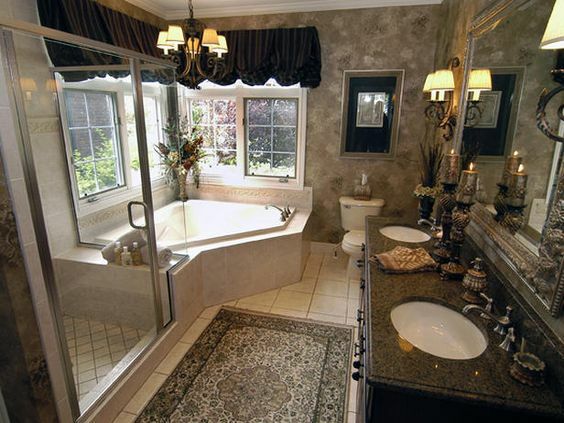 what are your thoughts on current kitchen and bath trends? were you a "victim" of tuscan kitchens or corner tubs? let me know in the comments!